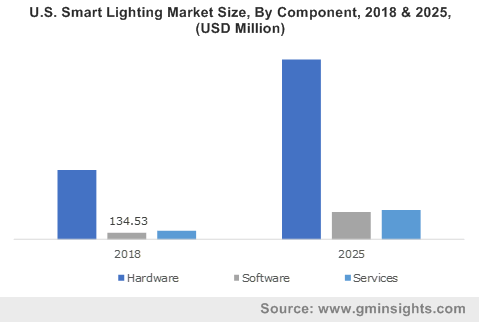 Bluetooth « Global Market Insights, Inc. The extensive penetration of IoT has revolutionized almost every marketplace, pet wearable industry being no exception. Wearable technology has indeed expended its application matrix beyond humans, which is quite evident from the large sales of pet wearable across the world. Statistics validating the fact- global pet wearable shipments have been claimed to exceed 5 million units in 2016, and the overall shipments is forecast to grow more than 25% over 2017-2024. Leading animal health giants are being witnessed making smart investments in this industry in sync with the latest technological innovations. 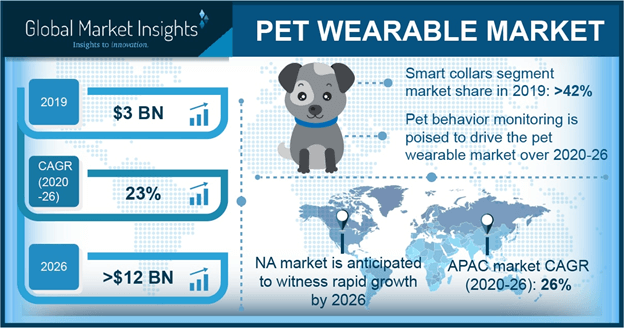 Global Market Insights Inc., forecast that pet wearable industry will record a valuation of USD 8 billion by the end of 2024. Pet wearable industry has already marked its strong presence in the smart industry space with a diversified product portfolio, ranging from remote heath monitoring to video enabled engagement. For instance, WonderWoof is a Bluetooth enabled bowtie than can monitor dog’s activity by keeping a track of their movement. Reportedly, this ground-breaking innovation is highly customized, with regards to the dogs’ gender, breed, and age and can also track the dog’s progress in terms of bone development. Not only as a fashionable quotient, the proliferation of IoT has also made a significant impact on diagnosis and medical treatments of pets, giving rise to a swarm of telemedicine apps targeted for veterinarians. Speaking along the similar lines, GPS based pet wearable is gaining a huge popularity, subject to its capability of monitoring real time positioning of pets. 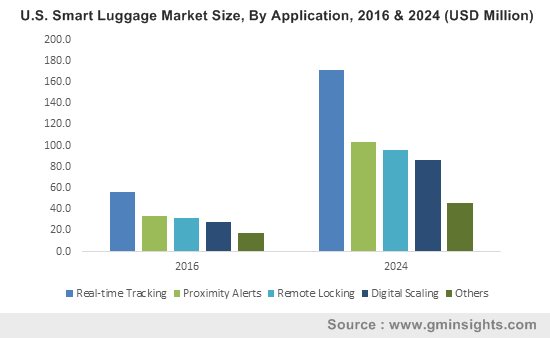 The increasing trend of GPS providers to enter into strategic partnerships with application developers to advance the mapping portals is expected to further bring a consequential transformation in pet wearable market dynamics. With sensors becoming more affordable and high-speed broadband services becoming nearly ubiquitous, IoT is poised to change the way the animal healthcare was previously approached, leaving lucrative business opportunities for pet wearable market giants. Regionally, U.S. experiences a strong hold in the overall pet wearable industry. The escalating spending of the Americans on pets and companion animals have substantially driven pet wearable demand in this region. According to National Pet Owners Survey conducted by the American Pet Products Association over 2015-2016, almost 65% of the overall American households owned a pet, which itself is a testimony of the huge application scope of the regional pet wearable market. In fact, estimates depict that U.S. pet wearable industry held a billion-dollar business in 2016 and is slated to register a CAGR of 25% over 2017-2024. Furthermore, U.S. being one of the most technology affluent nations, the incorporation of wearable technology in monitoring pets’ activities is sure to upscale in the coming years, in turn providing a boost to pet wearable market share. Worldwide, the industry is fiercely competitive with the engagement of major biggies like Fitbark, Whistle Labs Inc., Dairymaster, Scollar, DeLaval, and Nedap N.V. Manufacturers are highly optimistic toward the overall pet wearable market outlook and are investing more to innovate new products to address consumer expectations. Considering the fact that pet wearable is expanding its application scope with technology playing the pivotal role, the growth potential for pet wearable industry is forecast to be humongous in the coming years. This entry was posted in Sustainable & Smart Technologies and tagged Behavior Monitoring & Control, Bluetooth, Fitness Monitoring, GPS, Identification & Tracking, Medical Diagnosis & Treatment, Pet Tracker Market Size, Pet Tracking Market, Pet Wearable Market, Pet Wearable Market Size, Pet Wearables, RFID Devices, Sensors, Smart Camera, Smart Collar, Smart Harness, Smart Vest, Wearable technology for Animals.